Every day, I work with people with amazing businesses, messages and audiences, but unfortunately, there’s very little alignment between the three! That’s where I come in- my role is to create communications strategies that will connect the right people with the right message, thus growing a business. Throw in some storytelling (ah, my favourite) and I’m one happy Word Nerd. Psst- want my freebie checklist to help cut to the core of your communications? Read on! I’m all about simplicity and so effective communications relies on one main thing: Clarity. Whoop, there it is! Yes, clarity. Without a solid dose of clarity, business communications ends up as one big splattered, confusing mess of messages, audiences and purposes. Clarity in purpose means you’re never just putting out tactics for the sake of it. Your tactics (social media, blogging, events, networking) become tied to a greater purpose, and you can align them to three main subcategories- to be inspiring, educational and entertaining (where appropriate). Clarity in messaging keeps writing and tactics targeted. When messages are simple and aligned to broader business clarity, relevance is almost guaranteed, and it becomes much easier to address audience pain points. Clarity in audience means you can consistently deliver tactics and content that your client can connect with and relate to, and very quickly see you as the answer to their clearly articulated problems. All three- purpose, messaging and audience- will guide your tactics, the means by which you connect an audience with a message. Is blogging right for you, for your audience? Not if reading blogs are not part of their every day life. 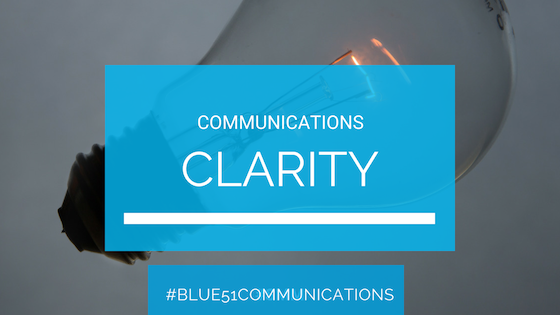 Tell me, is clarity the core of your business communications strategy? This is a post in my Communications Toolkit series. 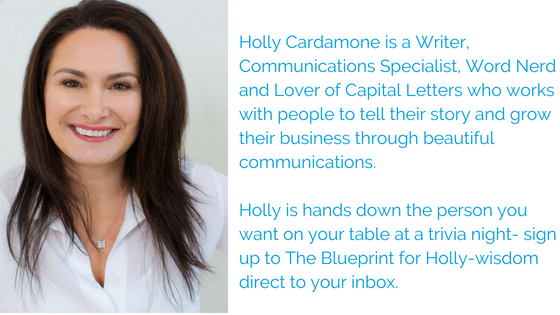 Each month, I share insights, hints and tips from my communications and copywriting bag of tricks. I’ll show you how to rock copywriting a range of products, tactics to communications glory and how to use communications and PR to solve your business marketing problems. If there’s something specific you’d like to know, please shoot me an email or give me a buzz, and I’ll do my best to help, or address it in an upcoming blog post or on my social media platforms.